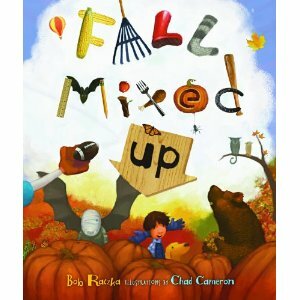 I cannot overstate what a marvelous fall read-aloud Bob Raczka’s Fall Mixed Up is. I have read it to all of my 1st grade classes, my Multiply Disabled class, and I’m getting ready to read it to my kindergarten classes. I think this might even be my favorite read aloud of the year so far. I bought this book last year hoping to get some use out of it, but I guess in my pregnant haze I decided it would be too confusing after all to read with classes. Not to mention the fact that I was furiously trying to squeeze in all of my Big Important Units with each grade before I went on maternity leave—we were kind of rushed last year. But this year I brought it out, and it was a huge hit. Someone has gotten fall all mixed up. From the first sentence (“Every Septober, Every Octember, Fall fills my senses with scenes to remember.”) we know something isn’t right. 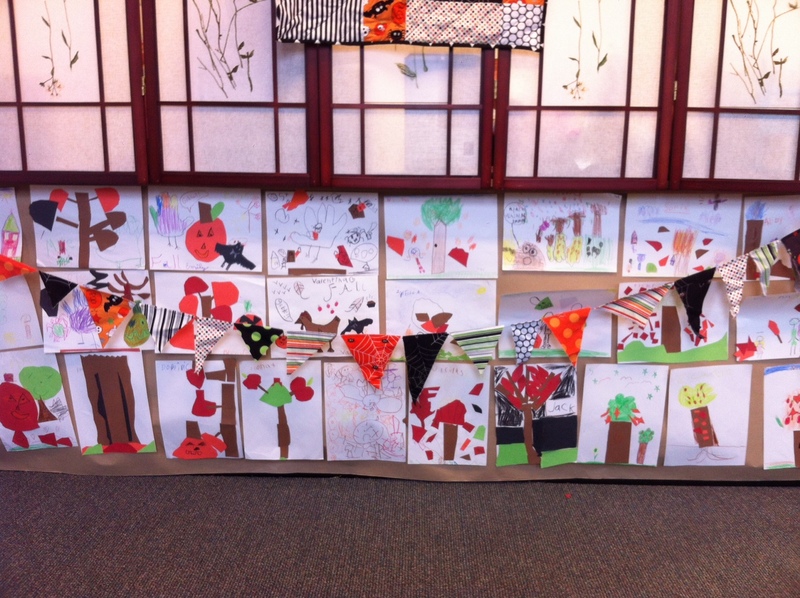 Red pumpkins, bears collecting nuts for the winter, turkey legs and stuffing for trick or treaters. It’s all wrong! Can the readers sort it all out? The more animated you get with this one, the better (I personally like to play dumb and pretend I don’t know it’s all wrong). I also had the kids make some fall collages to hang in the library. That took 2 weeks, so the next week we read Bob Raczka’s sweet but less hilarious Who Loves the Fall?. This title also went over well, especially when we reminded ourselves of all the fall things that went wrong in last week’s book.